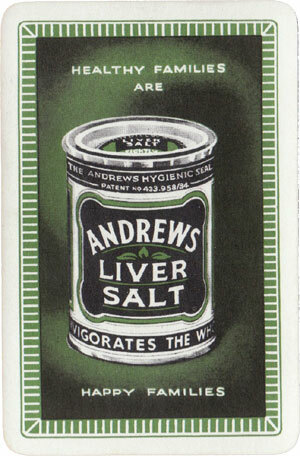 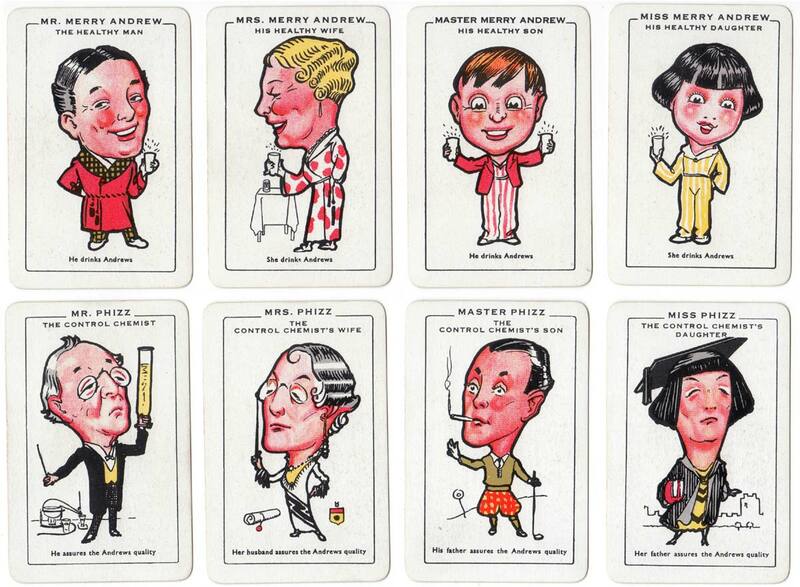 Merry Andrews - the very Happy Families, a promotional card game featuring Andrews Liver Salt, published by Scott & Turner Ltd, 1936. 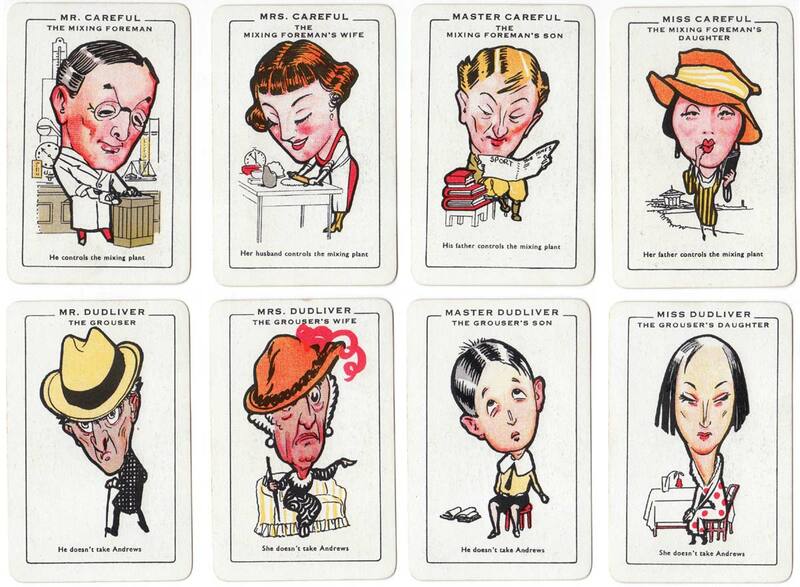 The figures depict caricatures of typical 1930s characters in ten family sets of four cards each. 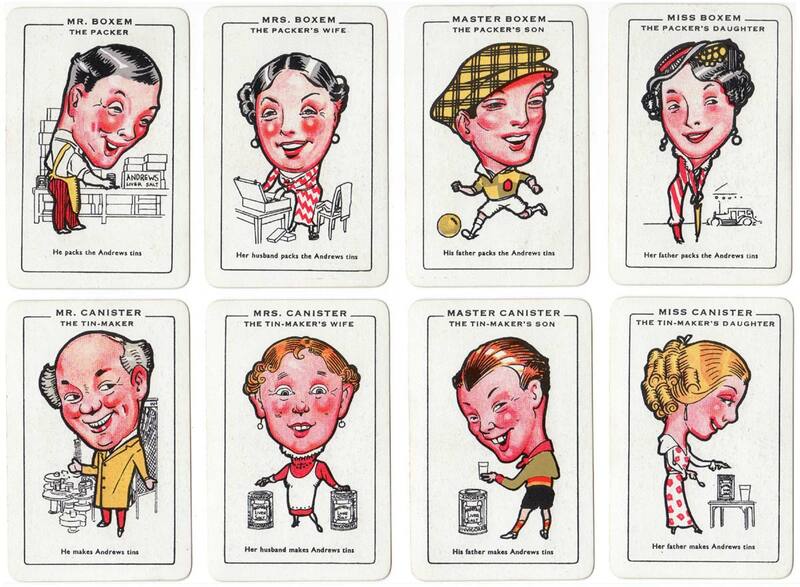 Boxem the packer • Wiseman the shopkeeper • Canister the tin maker • Sales the traveller • Truth the advertising agent • Toot the van driver • Careful the mixing foreman • Phizz the chemist • Dudliver the grouser • Merry Andrew the healthy man. 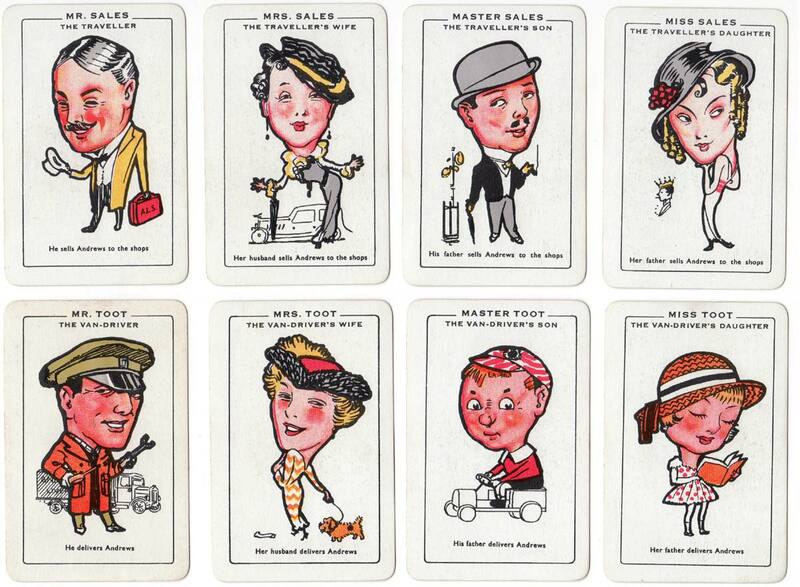 Above: Merry Andrews - the very Happy Families, published by Scott & Turner Ltd, 1936. 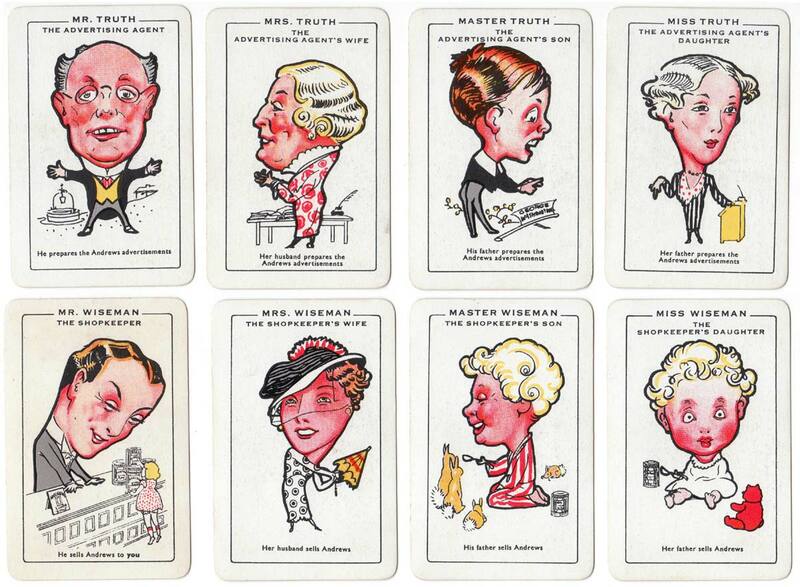 40 cards + rules leaflet in box.